Missing is part of a series of offered by Felony & Mayhem Press, one of their "Foreign" category. What ties the series together is they all feature, "an intricately observed, richly atmospheric setting in a part of the world that is neither England nor the U.S.A."
The setting is Sweden, a homeless 30-something woman is running a con, getting a meal and a room at a high end hotel. The con works, but in the morning the police are ready to arrest her for murder; a particularly horrendous mutilation was involved. She manages to slip the cops, and in rapid succession the actual murderer strikes 3 more times. Now, our protagonist is the object of a nation-wide manhunt, she has been tried and convicted by the police and the press, and she has no place to hide. I had a hard time putting Missing down, it held my attention from the first page, to the last. The plot twist and turns, but doesn't leave you swinging the wind; instead it's a masterful mosaic with a satisfying ending. 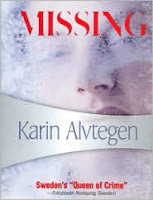 Missing was translated from Swedish by Anna Paterson. Found your blog after linking several times and was pleased to read your profile. 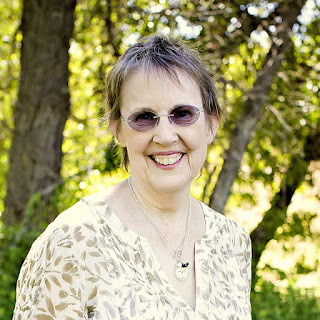 I also have been married 44 years and worked for the 2nd largest new and used book seller west of the Mississippi--Powell's being the first. I know I actually paid them to work there. It looked like I brought a paycheck home but it was just an illusion. 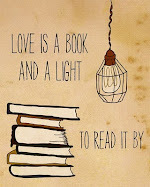 My favorite saying is "Books are the best bad habit you can have". That was the defense I used when adorable hubby would tell stories about how many books I had. I have been retired 7 years but still go to book stores to relax. Nice to meet you.